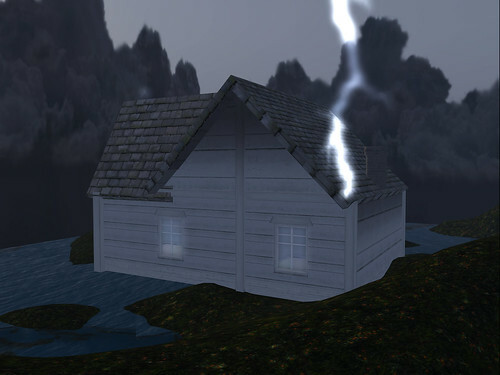 My friend, mentor and the person who inspired me to start creating stuff in Second Life, Yolanda Hirvi, has built a new house. Shabby White Cottage from Oblonski is beautifully built and textured spacious home for small or slightly bigger family or just someone single who needs the room. If you know Oblonski, you know it's the home of antiques built and textured with care. 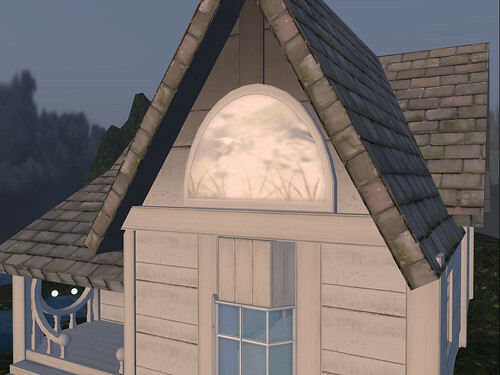 Shabby White Cottage is built of 144 prims, which I've noticed to be rather low prim count for a detailed building like this. As myself, Yolanda likes to use the Distressed Textures' creations and the cottage is mostly covered with Jewell's textures, with some nice modifications. My fave thing on this cottage is most definitely the porch. It's the kind of a thing which makes me think: "Why haven't I thought of this." 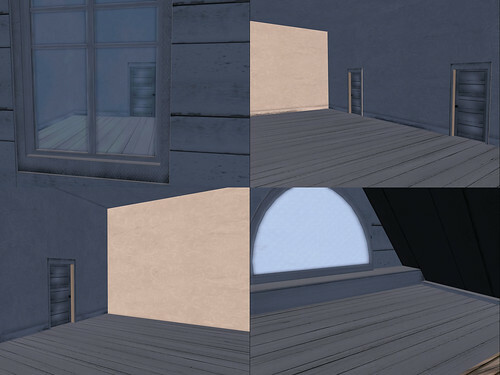 There are 3 rooms downstairs and two hidden attic spaces (one with that pretty window). 2 comments for "Shabby White Cottage by Oblonski"
Wow, this looks like a pretty cool cottage, I have to check it out! It's a cute building and I'm not saying it just cause Yolanda is a dear friend of mine. If you have any further questions or comments, I'm sure Yo would be happy to help you (tell her Bastet sent you, hehe). Thank you! I try and improve my pics skills constantly.